Northern NSW is a treasure trove of vintage. Sometimes it’s really unfortunately priced – I saw a 1970s trench in a car boot market today for $70. $70! You could find it for less than half that in Sydney. I didn’t buy it. But a few weeks ago, I did find these. Apologies for the blurred shot, I like to turn my flash off. And my camera has never been the same since it fell out of a tuktuk in Cambodia. The bag was $3 and the shoes were $2. They’re Charles Jourdan, a label that makes my mother incredibly excited when I mention it. They’re a lovely navy leather slingback, very plain, in need of a polish, but fit beautifully and are comfortable. 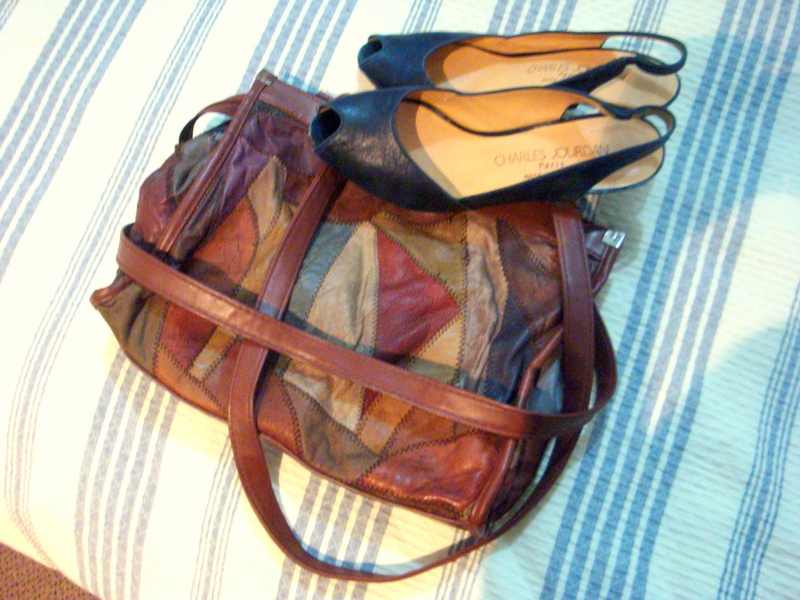 The bag is also leather, and looks good with pretty much everything. 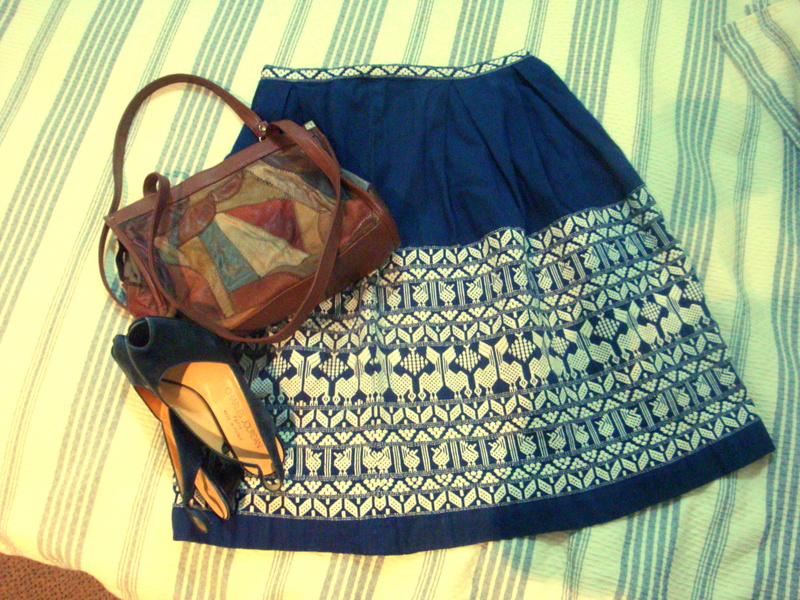 In an actual vintage shop, I found this skirt from Guatemala. Here it is with my bag and shoes. I’ll wear a white tee tucked into in summer, it evokes images of 1950s resort wear in me, and by then, my photos shouldn’t be so blurry. There is nothing to do here but trawl vintage shops or eat. Two weeks to go.